The New Year is great for cleaning out your wardrobe, setting yourself new goals but also to give your beauty regime a makeover! I've first tried this Guinot Moisturising Cream a few years ago and since then have always been reaching for it, especially during the cold winter months! 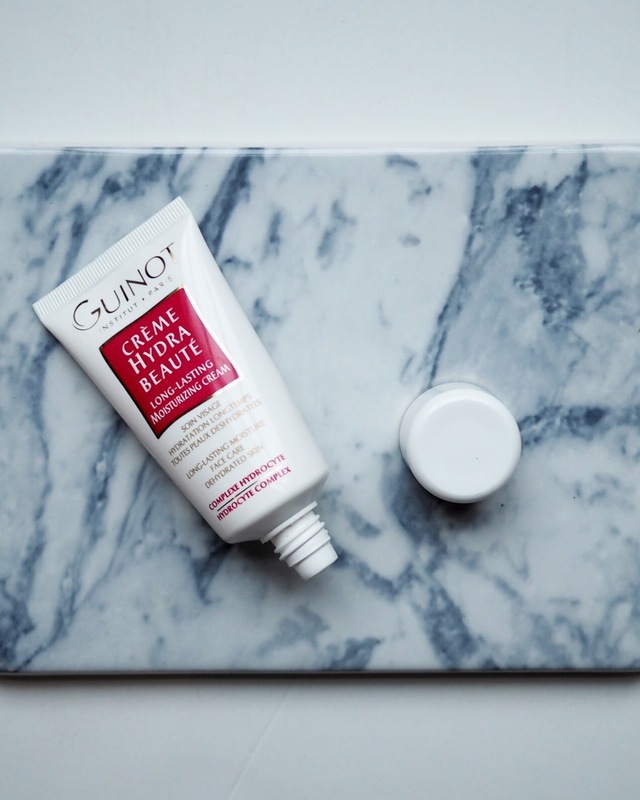 It leaves your skin really soft and moisturised, without being to heavy! 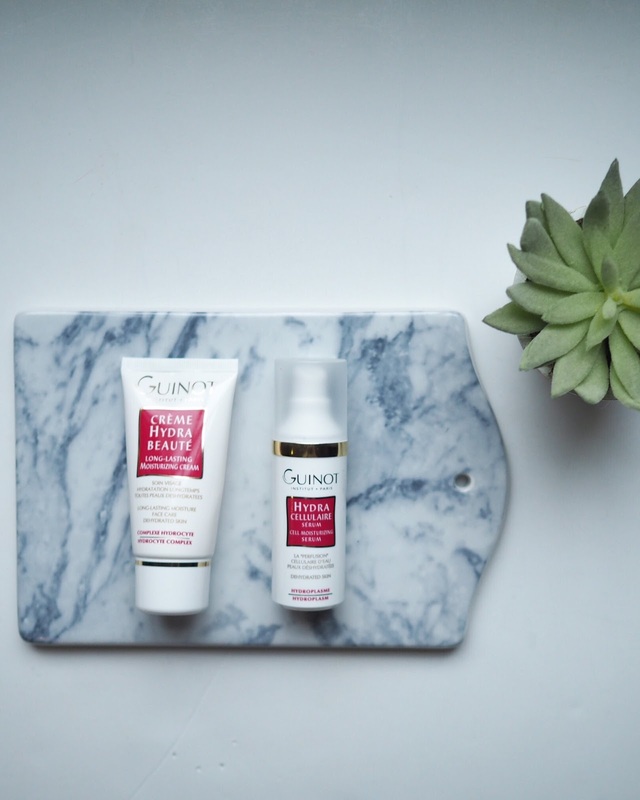 However, thanks to this really cold weather we are currently having, I feel that I need a little extra care for my skin. I've been adding their Hydra Cellulaire serum on my skin first thing A.M. and P.M and it also works perfect as a 1-month intensive treatment! 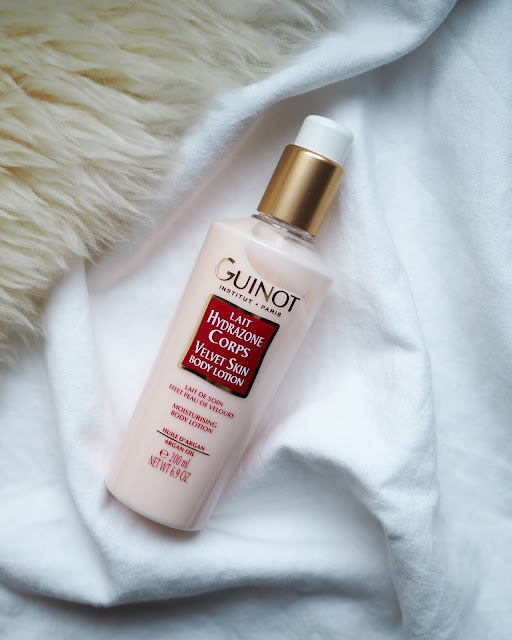 During the winter month's it's easy to forget about the rest of your body but this Velvet Skin Body Lotion is one of the nicest I have come across in a long time and it works wonders on dry hands! 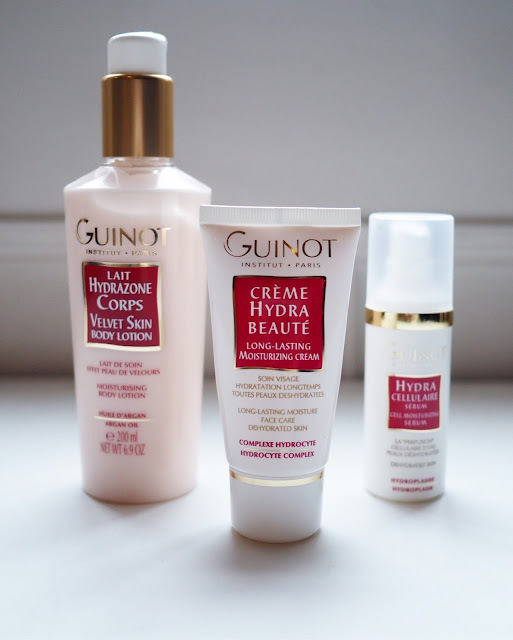 It's quite rare for me to like an entire beauty range but so far I've never had a bad experience with Guinot and the fact that my Grandma' was already a big fan or their creams probably doesn't help! I know nowadays it's hard to keep up with all the beauty recommendations out there but this is my honest opinion and not a sponsored post!